This was the very first IARU contest for Kosovo’s national radio amateur association “Shoqata e Radioamatorëve të Kosovës” (SHRAK) as an IARU member society. The occasion called for celebration, and so local amateurs teamed up with an international group to generate an exciting first HQ station operation. Three station sites in and around the capital Prishtina were used, including the University of Prishtina’s Electrical Engineering Faculty club station Z64EEF, close to the heart of the city. We managed to keep 3-5 stations on the air at all times, with one site also extending its single tribander to several high bands simultaneously through triplexer technology. Band conditions were poorer than hoped for, thus partially turning the contest into a European QSO Party. We enjoyed high rates nonetheless, and 10m and 15m provided nice ES openings. General activity levels also seemed pretty high, which is encouraging when faced with an approaching solar minimum. On behalf of the non-Kosovar members of the team, I’d like to thank our Z6 hosts for all of their tireless efforts in making the Z60A HQ operation a success, and particularly for their warm hospitality. On a personal note, I’m very happy to have made so many new friends in a fascinating culture on my very first visit. 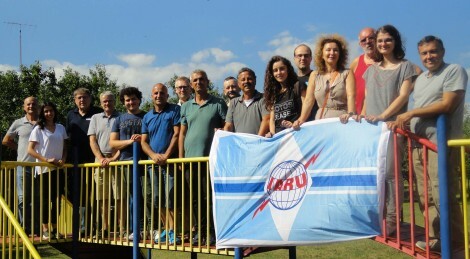 Also, thanks to all for the QSOs and for warmly welcoming a new IARU society to the international contesting scene! SHRAK will be back.